ixigo money is ixigo’s virtual currency. 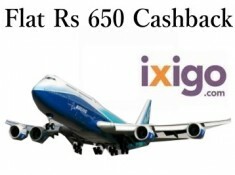 Users can spend ixigo money on each booking. 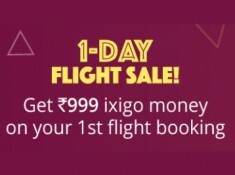 Since there is no limit on how much ixigo money you can spend on one booking, users can use 100% of their ixigo money balance on a single flight/hotel booking and up to Rs.150 on bus booking. The idea is to simplify and speed up your bookings, while ensuring you get additional discounts on the prevailing best deal. There are no gimmicks involved! 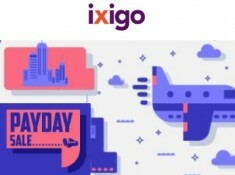 You will receive your ixigo money within 24 hours of your booking confirmation in the ixigo money account linked to the email id used by you to login on ixigo at the time of booking. The availability of ixigo money is subject to the participation of ixigo's select partners in this program. You can earn ixigo money only for bookings where the ixigo money amount is mentioned against the booking partner at the time of flight search. 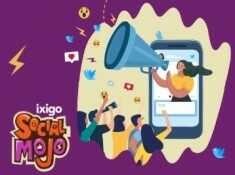 By participating in this program, you are agreeing to provide ixigo your email ID and to subscribe to the ixigo newsletter. You are free to unsubscribe from the ixigo newsletter later. In case you cancel your flight booking or the flight booking gets cancelled (by airline or provider), your booking shall not be eligible for any ixigo money.